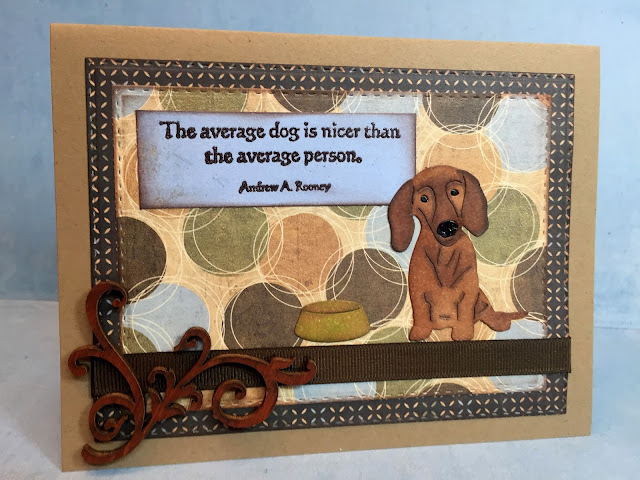 Alicia with a cute card today using the latest Frantic Stamper dies, the Puppy Love collection. I colored my die cut with various alcohol markers. The eyes and nose are separate pieces after coloring them black, I used some glossy accents to make them pop. at 12:00 AM Labels: Frantic Stamper, Memory Box, memory box and frantic stamper. This is so cute! The GA on the eyes and nose are a great touch. So sweet!! Such a cute dog card.........love that little guy and how he stands out against your pretty background. CUTE! He is the sweetest! 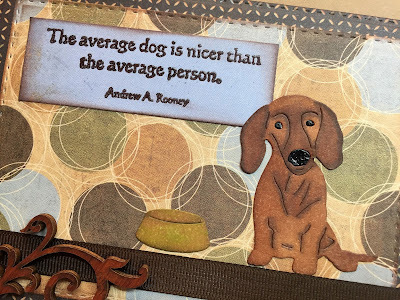 Love that sentiment too, so true! These are great dies! He is just adorable and I love the coloring and your glossy accents is the perfect touch for him!! Awe what a cute creation Alicia! Great coloring and inspiration!!! Such a cute card, I love it! Perfect sentiment too.